We all know that essential oils smell great, but they do so much more than delight your senses. Join Katie Burke for these classes, where we will learn how to harness the medicinal power of these potent drops to amplify the effects of healing in our systems. There are many ways to tap into the therapeutic effects of an essential oil and we explore many of them during these 4 weeks. We will start the series with understanding what an essential oil is and how to use these powerful allies. Therapeutic grade essential oils are incredibly supportive to our physical, mental, emotional and spiritual bodies. In this class we will go over how to infuse all parts of your every day life with natural products. An essential oil is the immune system of a plant, and it works perfectly to support the human body, too. To extract these oils from their original plant material, they are distilled or cold pressed, and then put into a bottle for our use. In this class we will go over many different ways the oil of a plant can support us. 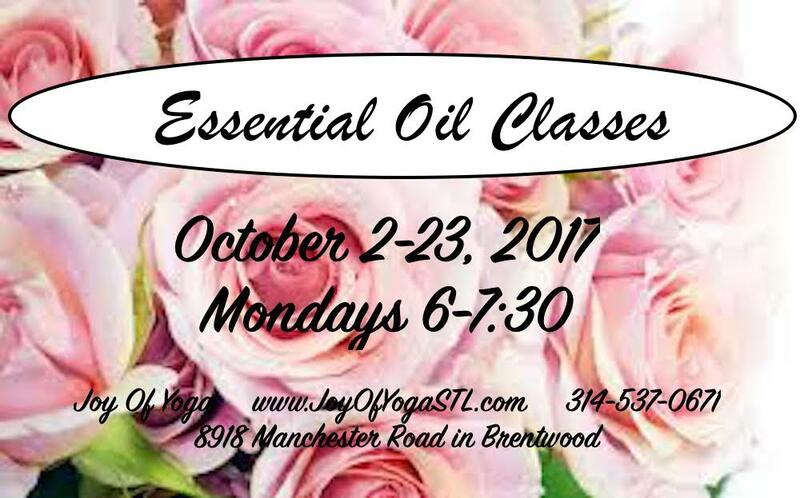 In this class you will be able to experience essential oils in a hands on way, You can use these essential oils in 3 different ways – aromatically, topically, and internally (we will talk about when that might be right for you). The molecules of essential oils are so small that they can penetrate our human cells with ease, this is part of the reason that they are so powerful! After application these oils are in your bloodstream in about 20 minutes. So let’s take advantage of these powerful plant allies and put them to work in our every day lives! Learn the benefits of bringing bottles of essential oil to your yoga & meditation practice! From deep muscle relief to clearing space - there are oils for that! In this class we will go over the frequency of the human body and the frequency of the plants, how they effect our brainwaves and physical body. In essence (pun intended) we are literally talking about raising your vibration just through essential oils. Fascinating stuff!! You will walk away with a better understanding how to utilize the power of essential oils in your every day yoga and meditation practice and exactly which plant allies to reach for and why. We will go through the Chakras system to explore where we can support our energy centers with the assistance of these powerful plant allies. Using essential oils to anoint and activate our energy centers! We'll dive in and talk about each chakra, what it does, and what oils can help support that chakra - and how to apply them, where to use them! Essential oils can be used to clear our energy centers, open our chakras and help us feel more grounded and clear. One by one we will work up the Chakra system and talk about how to utilize essential oils to enhance what is already within us. Did you know that our energy can get out of balance because we absorb the negativity on TV and in the world around us? I bet you did. And When our energy is low, in any part of our body, our body’s natural immune response can be negatively impacted? But, not to worry! You have support and you're not at the will of others' negativity. We actually can DO something to help ourselves and our plant friends as essential oils are one option. We can't control our surroundings but we can control our reactions and how we process emotion and energy. Essential oils can definitely help us deal with what happens around us in a healthier, more positive manner. Peaceful thoughts and spiritual harmony can come easily with the power of using Essential Oils. In this class we will use six different oil blends on different areas of our physical body to activate support and wellbeing in our emotional body. You can attend a single class or the entire series at a discounted price.